[UNBOXING] March Comes in Like a Lion: Season 1 Part 1. Available on Ltd Collector's Edition Blu-ray from 29th October. We've reached the end of the October and that means there's a slew of new releases on the calendar that will be making their way to you soon! 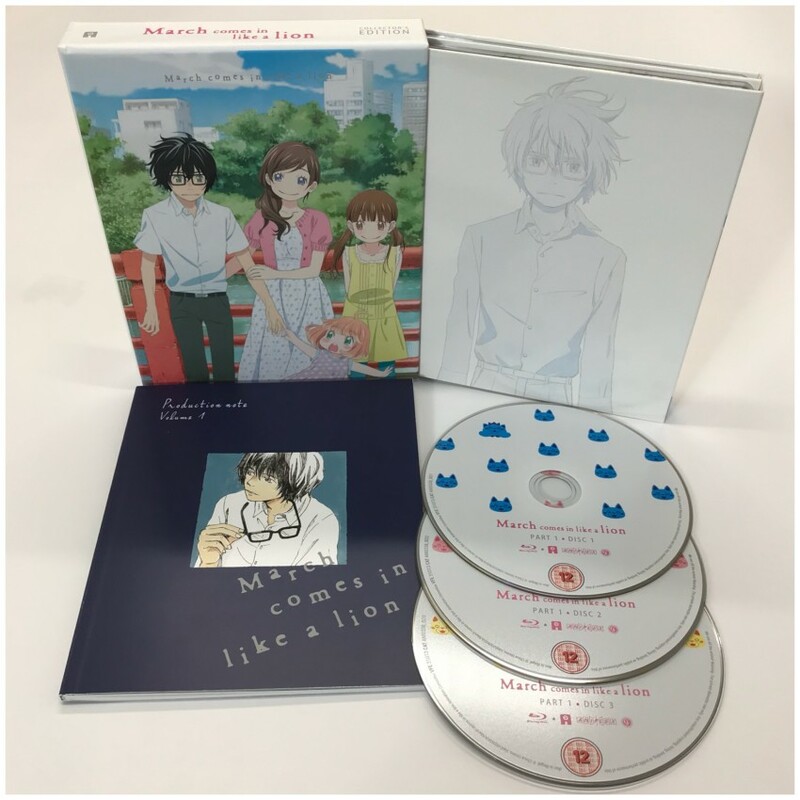 Today we're going to show you what you expect from our release of March Comes in Like a Lion: Season 1 Part 1, which is available on Ltd Collector's Edition Blu-ray from Monday 29th October - next week! And worth noting that you'll be able to purchase this from us this coming weekend at the MCM London Comic Con event from our stall in the south hall, at Block S2, stand #S400 while stock lasts. 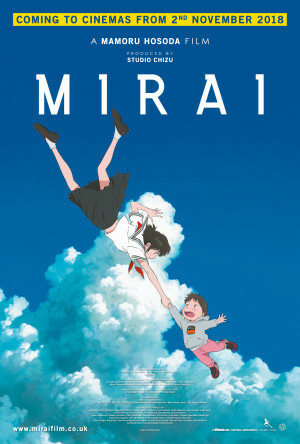 Synopsis: “The tribulations of teenage life and the struggles therein are brought to the fore in stunning fashion with this beautiful adaptation of the award-winning manga from Chica Umino (Honey and Clover), produced by SHAFT. The Ltd. Collector's Edition set comes packed in a rigid case. Inside the rigid case you'll find the 3 Blu-ray discs stored inside a fold out digipack. Also inside the rigid case there's a 40 page booklet. On disc extra include Special Digest Episode 11.5, Meow Shogi Shogi - "Moving Meow Shogi Special, Textless Opening and Closing title sequences. 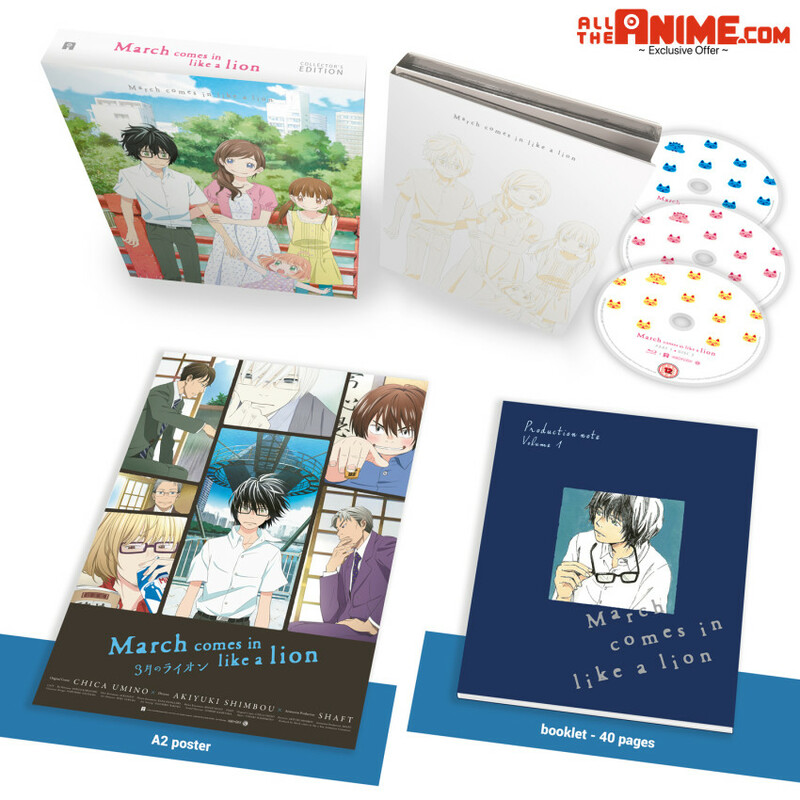 We also want to make it known that exclusively at our AllTheAnime.com online shop we have a special bundle where you can get a bonus A2 poster when ordering March Comes in Like a Lion: Season 1 Part 1. The poster will be sent separately, and is expect to ship in early November. 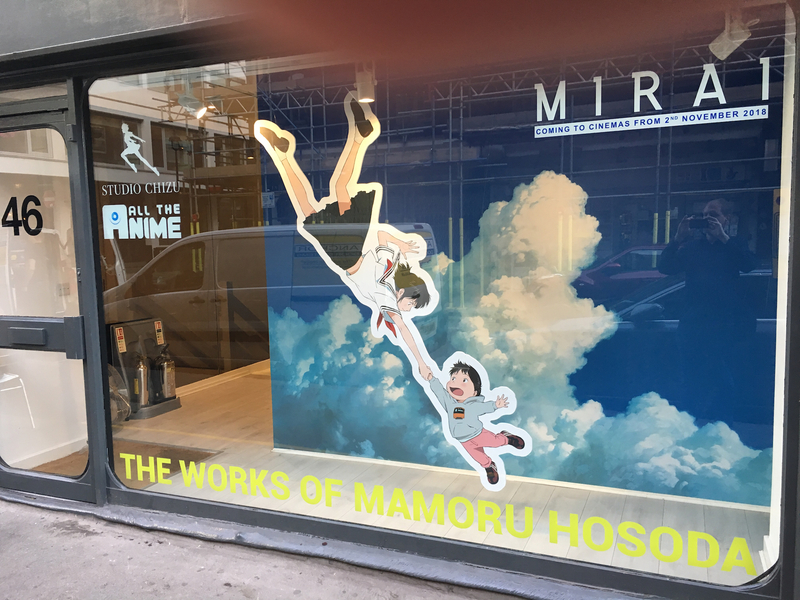 ‘Works of Mamoru Hosoda’ Exhibition at MCM London Comic Con. 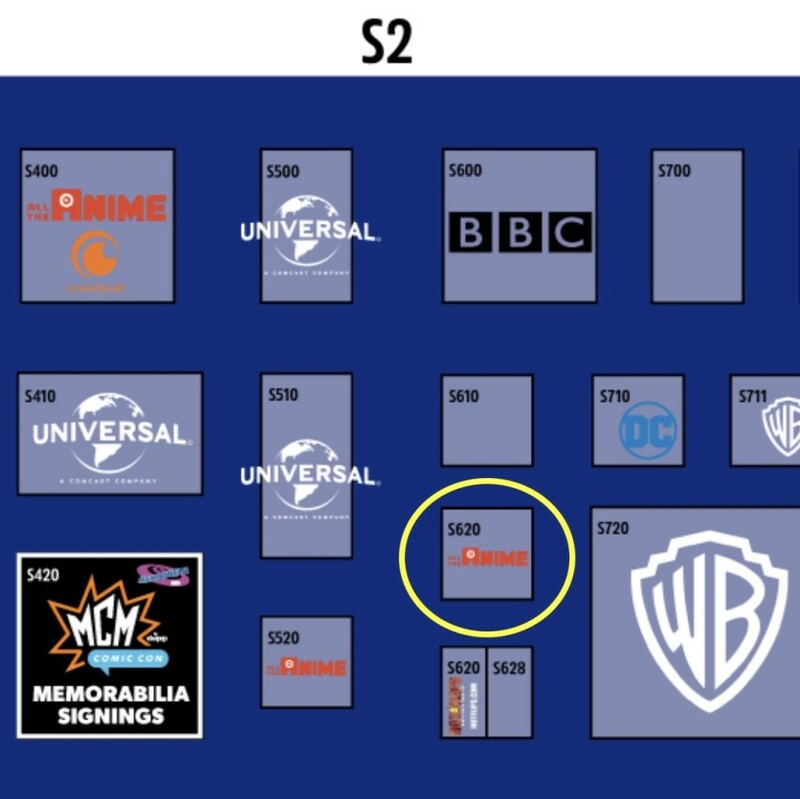 Select elements of the exhibition to be on display at MCM London: October 2018. But today we're delighted to announce that following the success of the exhibition that select elements from this will be on display at the MCM London Comic Con event from 26th-28th October! Offering a unique look at his work, plus some experiences and opportunities relating to said work that won't be seen anywhere else in the UK! There's even a gift shop featuring items directly from Japan all themed around Mamoru Hosoda's works! So you can take home a momento from your visit there. While we know everyone who has been able to attend the exhibition so far (and we hope those still planning to attend it before it closes this Saturday) have had a wonderful time there, we have heard from many people who wished they could experience as they aren't able to get attend it. With MCM London Comic Con being an event that bring fans together from across the UK (and likely beyond) we knew it was an ideal opportunity to give people a chance to experience at least some of it. The elements of the exhibition are free to see for all attendees of the event, and you'll be able to find it in the South Hall at stand S620. We hope your excited to experience this at the event and we look forward to seeing you there! Tickets are on sale to the MCM London Comic Con event right now HERE. Stay tuned for more information on our activity at the event over the coming week. The wait is over! 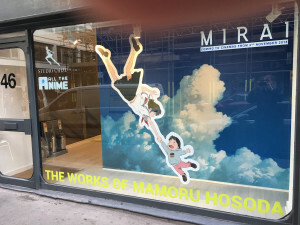 Today is the day that 'The Works of Mamoru Hosoda' exhibition opens in central London for a limited time - just one week! Doors open in just under an hour (at time of writing) so now is the perfect time to give you a quick refresher on the details you need to know if you planning to visit it! You'll be able to find the exhibition at the following address: Noho Studios, 46 Great Titchfield Street, London, W1W 7PZ. The venue is located just few minutes walk from Oxford Circus London Underground station. Nothing! It's 100% free to enter! We don't want to give everything away on what you can expect, but at the same time we want to give a teaser of what you can look forward to. If you're a fan of The Girl Who Leapt Through Time, you'll have the chance to have a photo with a life size statue of Chiaki from the film. Hot off the heels of the UK Premiere of the film at the London Film Festival, you'll be able to see storyboards from his latest film, Mirai, in the form of a chandelier. Nope, not even joking when I write that. You'll have to come along and see for yourself. 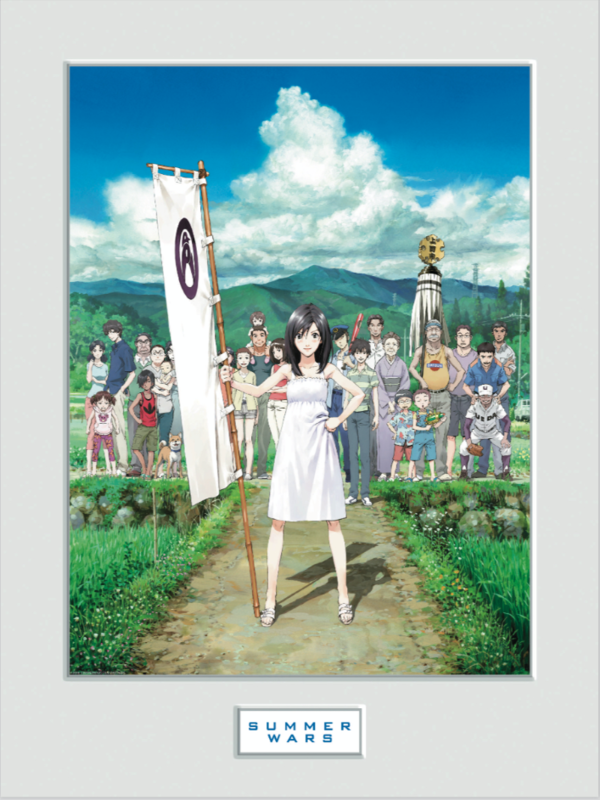 Did you love the virtual avatar filled world of Oz in Summer Wars? You can become part of that world through special augmented reality technology and you'll even be able to have something to share with friends and family members to show off after the fact! If you enjoyed the antics of young Ame and Yuki in Wolf Children you'll even be able to become part of the film itself with a special photo opportunity where you become part of a scene from the film. But that's not all as we'll even have a special gift shop too! 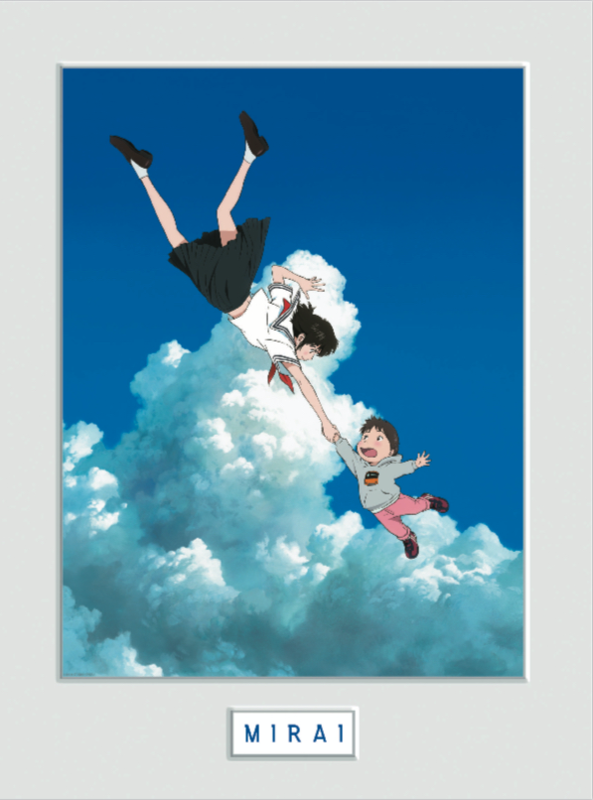 We're delighted to say that we're going to have a selection of official merchandise directly from Japan based on a variety of works by Mamoru Hosoda available in a gift shop that you will find within the exhibition. 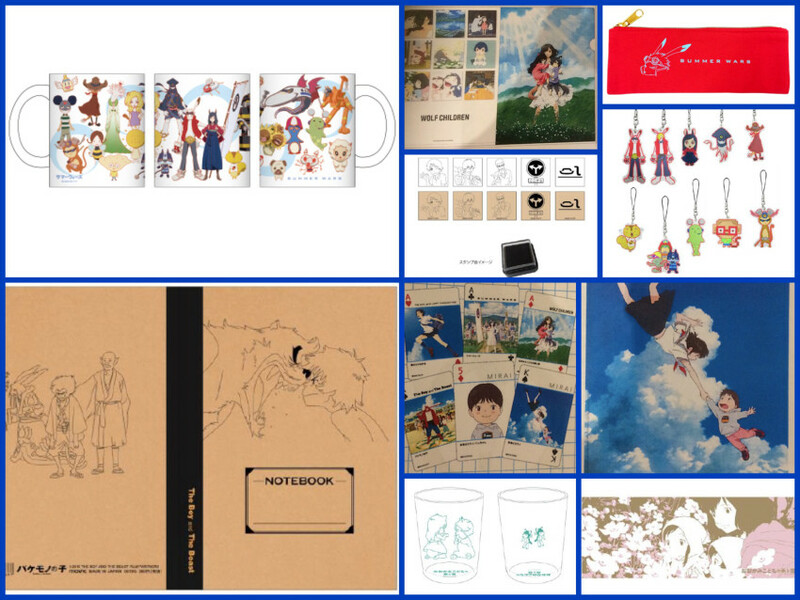 You'll be able to get your hands on framed posters, mugs and glasses, stamps, notebooks, towels, stickers, pouches, pass holders, folder files, phone charms, even a set of Mamoru Hosoda Animation Works Playing Cards! The pictures you see here is of just some of the items we will have available; there's a variety of designs based on different films for various types of items. You'll need to come to the exhibition itself to see what else is available! And all items in the gift are only available while stock lasts. So once an item is gone, they are gone! The gift shop will be open during opening hours of the exhibition itself - from Saturday 13th October 2018 to Saturday 20th October 2018. Daily opening hours for the event are 10AM until 6PM. And there you have it! Don't miss out on the chance to experience this exhibition! Be sure to keep an eye on our social media platforms (Facebook | Twitter | Instagram) for updates throughout the coming week. And be sure to share your experience at the exhibition with us! We'd love to hear your thoughts. Killy is climbing. He is walking up the stairs. He is heading outward, ever outward towards the edge of a seemingly infinite city, having already crossed six thousand levels. 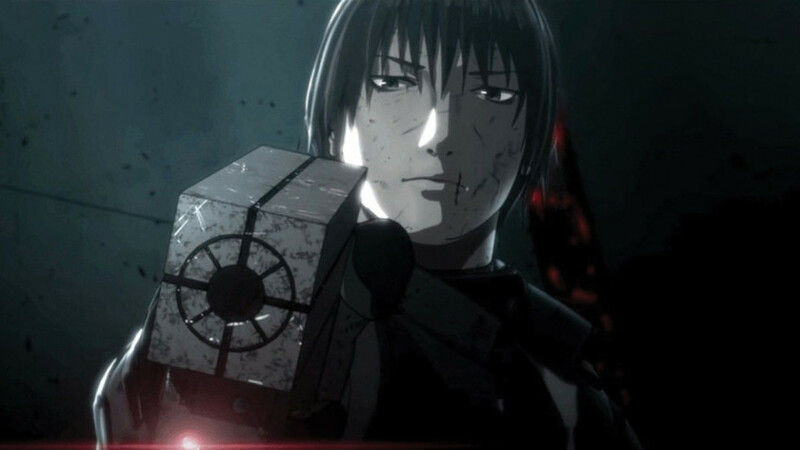 Killy, as the manga series and movie Blame! eventually reveals, is just one inhabitant of an ever-growing metropolis – a sentient city designed to create and build upon itself, intended as the ultimate paradise for humanity. Unfortunately, at some unspecified earlier date, an accident caused the City to forget its allegiance to its human creators, and it turned upon them. Let’s get the obligatory disclaimer out of the way. Despite its alarming title, I Want to Eat Your Pancreas has nothing to do with gut-munching cannibalism. (If you want that kind of thing, we’d direct you to the Edinburgh SLA screening of Calamity of a Zombie Girl.) 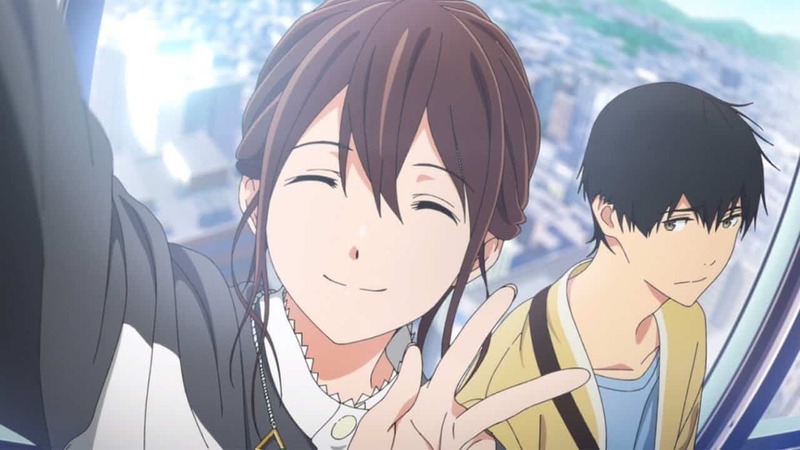 Pancreas is actually one of a growing line of anime films that are highly emotional teen dramas, set in modern Japan with few or no “magic” elements.